Providing constant comfort and style, carpet continues to be one of the traditional trappings of home. Known for its unmatched ability to adapt to every budget and style, carpeting offers warmth and coziness and can instantly transform your home. At Finmark Carpet One Floor & Home in Northridge, CA, we offer up all the latest in fine carpeting and related products. Our team of experienced staffers is always eager to share their ample knowledge and can help you find exactly what you want and need. 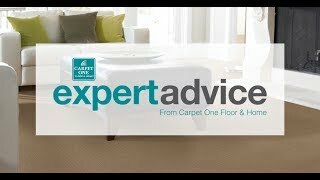 Let’s learn a little more about carpeting and discover why it might be the perfect fit for your home or office. Carpeting has long been lauded for its unabashed ability to transform residential and commercial spaces. It can be used to create many different looks, while providing warmth and comfort. Today, there are carpet varieties made to suit nearly any need, any style scenario, and all budget ranges. Whether you need something that can coexist peacefully with your pet poodle, or can withstand the constant foot traffic of a large family, there are carpets that are your perfect fit. While carpet shopping, you’ll want to pay close attention to common characteristics, like pile type and backing, as these will determine how your new rug will function. Carpet pile, also known as fiber, is a major determining factor when it comes to long-term performance. For instance, polyester and nylon fibers – both synthetics- are known for durability and extreme softness. On the other hand, natural fibers like wool are rougher to the touch, but are lauded by people with allergies as well as those who prefer a simplified housekeeping plan. Frieze or “shag” carpet has a twisted, deep pile and trendy appearance, making it great in casual settings. Level loop carpet has shorter loops and can work in both casual and formal settings, though it’s especially popular in areas with heavy foot traffic. Patterned carpet has intricately trimmed and looped fibers, for rug that’s highly formal. Textured carpet has a rough feel to it, with extra strong fibers that really endure, making it a favorite for the family room. Plush carpet has velvet-like fibers for an upscale appearance, making it best reserved for spaces that don’t receive a lot of foot traffic. Finmark Carpet One Floor & Home boasts the region’s most extensive carpet inventory. We carry all the most popular carpeting brands, as well as some exciting exclusive brands that won’t be found anywhere else. As your neighborhood flooring experts, and part of the continent’s largest cooperative of independent flooring stores, we can offer you unmatched buying power, localized services, and competitive pricing. Visit us today and let our product professionals help you find your perfect match. Enjoy significant savings and find an area rug you adore by shopping our carpet remnants. With these simple maintenance tips, your space will retain its beauty and warmth for years to come. Understanding fiber composition is a major component of your carpet’s care requirements. Fiber types function differently, so know what you’re looking for.